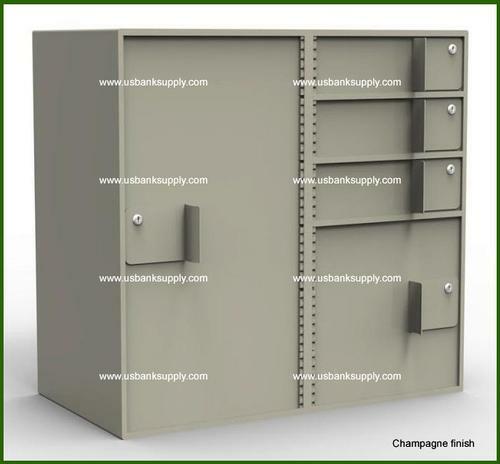 This solidly constructed double-width vault interior unit contains 1 tall storage cabinet, 3 teller lockers and 1 coin cabinet, and is available in 16 different baked powder coat finishes. Units are of Integrated, uni-body, 18 gauge, double side wall construction. Units come standard with key locks but can also be furnished with combination locks, electronic locks, or any combination of the three.